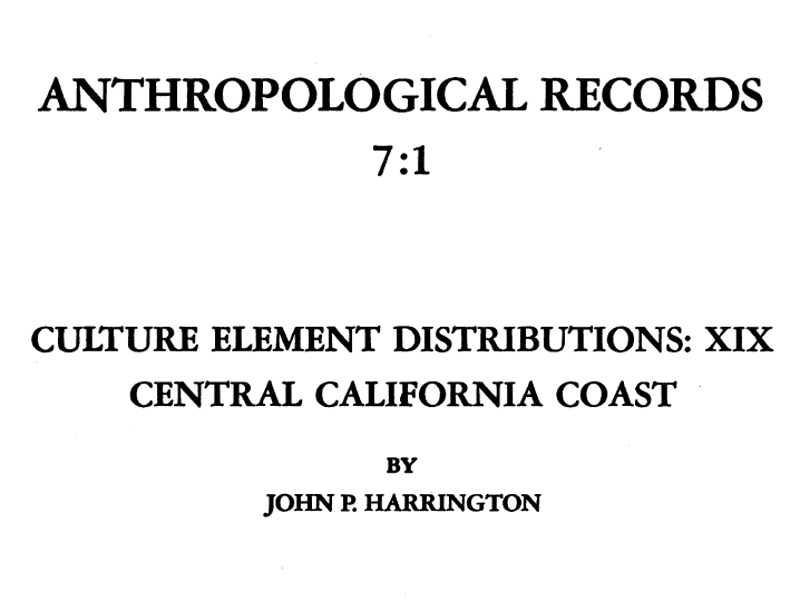 SCVHistory.com | Regional Anthropology | Overview of Cultural Resources of Western Mojave Desert | Stickel & Weinman-Roberts 1980. An Overview of the Cultural Resources of the Western Mojave Desert. By E. Gary Stickel and Lois J. Weinman-Roberts. The results of a literature search are presented in this study. The literature search pertained to all unpublished and published written works relative to cultural resources located within the study area. These cultural resources consist of prehistoric and ethnohistoric archaeological sites as well as historic sites. Altogether the project area encompasses a vast amount of land in the western Mojave Desert of approximately 2.35 million acres. The majority of the project area is located within present San Bernardino County with the remaining areas located in Los Angeles and Kern counties. A total of some 775 archaeological sites were inventoried as part of the study. They consist of a wide array of types ranging from habitation-village sites to cemeteries, petroglyph and pictograph sites, etc. The literature search also discloses that few of these sites have been scientifically investigated, researched, or even dated by radiometric methods. By means of generating the cultural resources overview for the project, it became apparent that the sites represent the entire span of time of human inhabitation of the Mojave Desert. Six chronological periods were utilized for the archaeological sections of the report ranging from the Early Systems Period (50,000 B.P. ?) to the Proto-historic/Historic Period. The Literature survey for the Historic Period was directed toward constructing a background overview of Spanish-Anglo exploration and settlement in the western Mojave. Furthermore, it inventoried the historic sites elicited through the literature and through interviews with local informants and historical societies. Trail-blazing, mining, and homesteader activities produced the 78 historic sites recorded in this survey. Many of these are on privately held land. Some are geographical sites and display no ruins or evidence of human use. The mine shafts and mills are outstanding and can yield valuable data for industrial history. Field assessment is needed to determine whether sites meet criteria for the National Register of Historic Places. Findings from this study indicate that there is a great number of archaeological and historical sites in this part of the Mojave Desert (many of which, especially prehistoric sites, have not been found as yet). Many of these sites are to be considered as valuable cultural resources to both the State of California and the Nation. Indeed some sites are already on the National Register of Historic Places. This study is designed to facilitate the Bureau of Land Management's future management of these cultural resources.